Well, I think we can say this year’s holiday was a success! We ate lots, drank lots, walked lots, have lovely tans, and – best of all – I didn’t get prickly heat! If you read my holiday preparation posts, you’ll know that this was the main thing I was worried about before we headed off, and I couldn’t be happier that I was able to swim and sunbathe without the familiar pin-pricks of doom. I think these are definitely the products I have to thank for my comfort in the sun, the Piz Buin spray is a brilliant addition to the range, as it sinks in a lot more quickly and evenly than the cream (I had both, and spent five days using factor 30, and the remaining nine using factor 15 – even so, I think we erred on the side of caution, to be honest). My skin never felt dry in the sun, or overloaded with product, even when we were using factor 30. 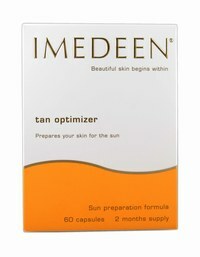 The Imedeen, did, I feel, prepare my skin for the sun better, I didn’t really have that “pink” stage that MrLippie did on a few occasions, so that was good. The spray nozzle is very cunning and easy to use, but spraying areas like backs of legs and the like was a little difficult, but I was willing to overlook this as it’s easy enough to spray some cream onto the palms of your hands and use the product that way instead. 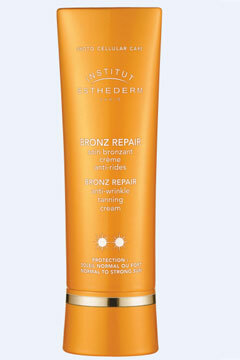 Instituit Esthederm Bronz Repair for Normal/Strong Sun*. Lancaster Sun Age Control Lotion Factor 15. This is a light apricot-coloured lotion (unlike the heavier white creams of both Instituit Esthederm and Piz Buin) and it suited my skin a lot better, and, once the good weather returns to the UK, this is something I’ll be using on a daily basis. My blotches cleared up in about two days of using this – alongside my Decleor Sun Serum (which I used alongside the two others, too – as a control). 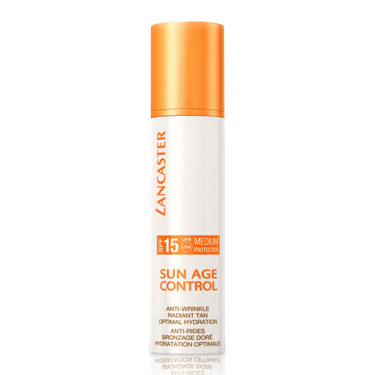 I was delighted with this product, and only wish we had a wider range of Lancaster products available in the UK! If anyone knows where I can get a back up bottle of this (it cost me nearly Forty euro, but it was worth it) I’d be grateful. Something else I was utterly delighted with was my pedicure, before I went away I slipped off to The Powder Room for a Mavala pedicure (I chose Curacao Blue – a perfect “swimming pool” blue shade), and even now, three weeks later my toes look just as good as the day they were first painted! Excellent products, and a wonderful service from the PowderPuff Girls, too! The ridge filler in particular is fantastic, I’ve never seen my toenails look so smooth! 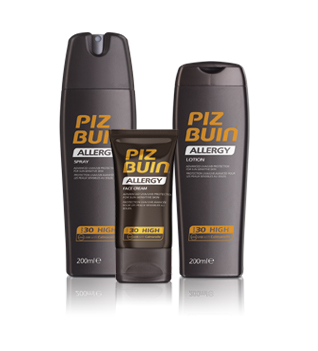 I’d definitely take away all of these products again, there isn’t a duffer amongst them – the facial sunscreens from Piz Buin and Instituit Esthederm are probably more suited to a drier skin than mine, in all honesty, they’re both excellent and give great sun protection, they just didn’t suit me and my combination skin, which tends to get oilier in the heat. The Fine Print: Products marked with * were PR samples, apart from the ones marked ** which were a mixture of PR samples and purchases. Products with no asterisks were purchases. No one reads these anyway, do they? Great to hear you didn't suffer with prickly heat. As a fellow sufferer I know how irritating it can be. Loving the asterisks too, I shall be using that idea myself (with permission of course)!